Nursing employment throughout the country is on the rise as the aging baby boomer population continues to grow. Nursing employment opportunities are keeping pace with our aging population, so if you’re looking for nursing employment and a nursing job, Expert Staffing can help – they’re the nursing employment experts. Expert Staffing has the hospital, healthcare facility, and private practice connections and contacts to help you land the nursing job of your dreams. With nursing employment positions as RNs, LPNs, nurse practitioners, and nursing assistants available, Expert Staffing is the right choice to find nursing employment quickly. Expert Staffing has short-term and long-term nursing jobs available for both administrative and medical care professionals in hospitals, private practices, nursing homes, and other healthcare facilities. What are you waiting for? Expert Staffing can match you up with the right nursing employment to fit your skills and lifestyle. You may want a per diem nursing job or long-term, full-time nursing employment. Regardless of how often or how long you’d like to work, Expert Staffing can connect you with the right nursing employment, especially if you’re juggling your personal life with your professional one. Right now, the country is facing a general nurse shortage across all skills and qualifications. However, not all states are experiencing the same nursing crunch. 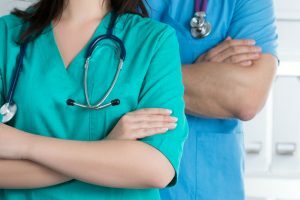 If you’d like to gain an advantage in finding the right nursing position for you as quickly as possible, turn to Expert Staffing, the nursing employment pros.